Think about who owns the most USD reserves in the world and now think about 1 Billion plus Chinese citizens buying gold? A long time favourite site of ours Jesse's Cafe Americain, talks with Chris Martenson. A well connected and accomplished individual "Jesse", gives his thoughts on the market. Believe it or not Ripley! The People’s Bank of China(PBOC) recommended yesterday that 1 billion Chinese consider buying gold as a hedge against inflation and to preserve values in a world where currencies can fall. The PBOC Financial Markets Review came out just as several major currencies were indeed declining in value against gold; the dollar,1%, the Swiss franc,2.5%, t he British pound, 2%, and the Japanese yen, 2%. 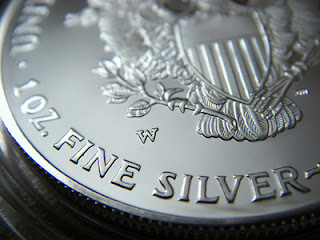 FINALLY, US Silver Eagles Back in Stock! Yes, that's right, we have the long awaited Silver Eagles back in stock. 10,000 available now, but I'm sure they won't last long. Currently $4.15 USD over spot, NO shipping fees. Call for an official quote TODAY, before we're all sold out. Gold Standard For The Dollar? The most common mistake most financial advisers make is they consider gold an investment and use standard investment methods to place a value on it. GOLD is NOT really an investment, it's more of an INSURANCE against a failing government currency and financial system. Americans spend only about 10% of their annual incomes on food, compared with as much as 70% in other countries, but with prices climbing, some economists wonder whether the nation's abundance of affordable food is history. American consumers have long enjoyed a luxury that few others could boast: an abundance of affordable food. But with prices of wheat, corn and other staples soaring, some economists and scientists are wondering how long that can last. 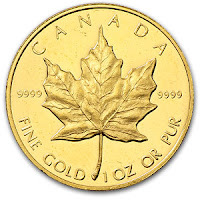 GOLD & SILVER Bullion Coins in Your RRSP! 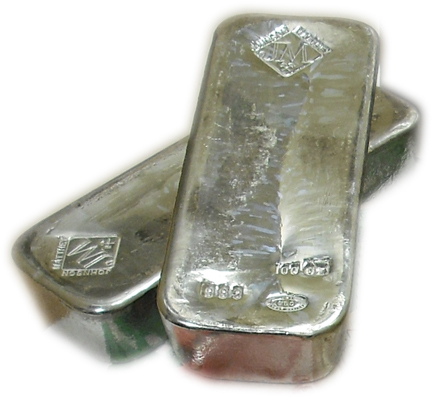 Finally, we have the process started to open accounts for actual gold and silver bullion coins and bars in your RRSP's. NO, this is not like some other services out there that offer paper certificates. Our clients will have the option to physically hold the gold in their hands before it goes into the vault for storage. Many call him the "Godfather" of investment newsletter writers, Richard Russell has been studying the markets for over 50 years. His opinion and advice is followed by many prudent investors. Could The USD Lose Its Status As The World's Reserve Currency? One ounce of Gold today is exactly the same as one ounce of Gold a century ago. The big difference is the number of paper dollars it takes to purchase that ounce of Gold. TORONTO - Get ready to fork over a little more cash before you pick up your dinner fork. Canadians will be paying between five and seven per cent more for groceries on average by the end of the year, economists say. A family that spends about $400 a month on groceries could end up paying up to $340 extra in a year. Bad crops around the world, oil trading for more than US$100 a barrel and the economic recovery are driving prices higher. Food companies are raising prices due to the soaring costs of key commodity ingredients like wheat, corn, sugar and vegetable oil, which have gone up as much as 50 to 100 per cent over the last year at a near-record rate. Brace yourself for a little sticker shock at your local grocery store. That's the message from analysts as Canada's major grocers are hinting they may pass on rising commodity prices and other costs to consumers. In the short term, shoppers could see higher prices for breads and baked goods given the rising price of wheat. And sustained increases in the cost of food commodities are expected to trickle down to every aisle of the grocery store by year's end, say analysts.